3 Waves have 3 primary characteristics: ( 波有三個特性 ) 1. Wavelength ( 波長, λ): distance between two peaks in a wave. ( 兩個波峰間的距離 ) 2. 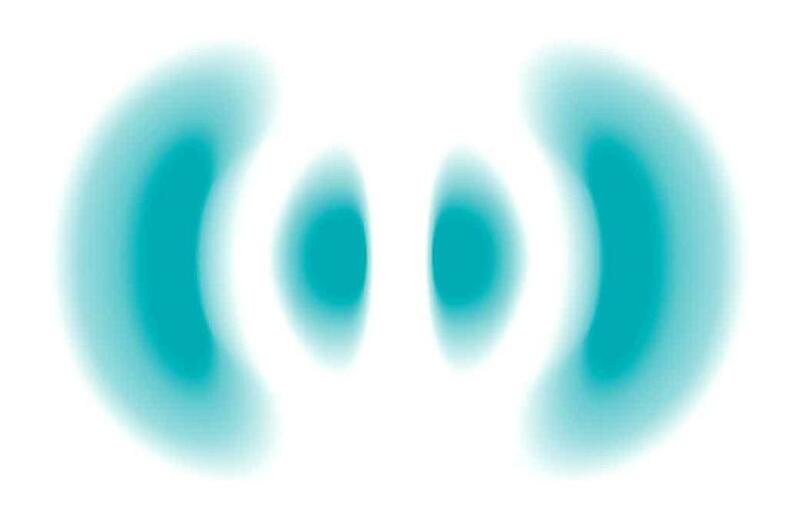 Frequency ( 頻率, ν): number of waves per second that pass a given point in space. ( 每一秒通過空間中一點的波數 ) 3. 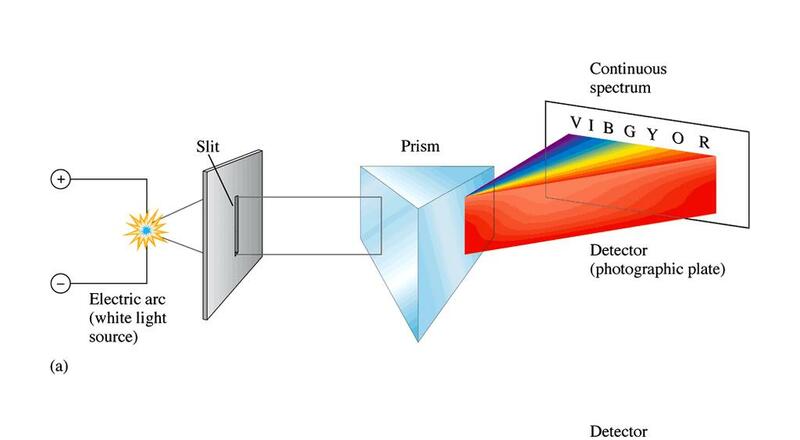 Speed: speed of light ( 光速 ), c = m/s. 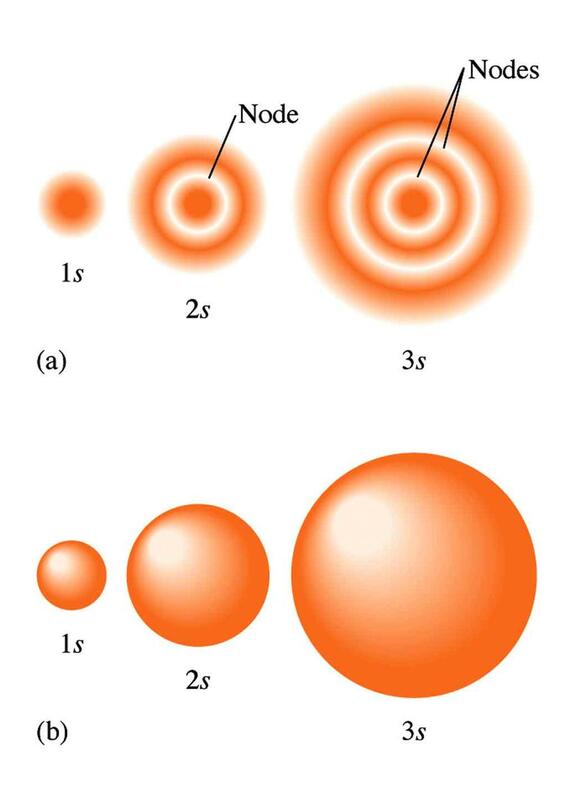 4 速度一樣時, 波長與頻率成反比 Figure 7.1: The nature of waves. 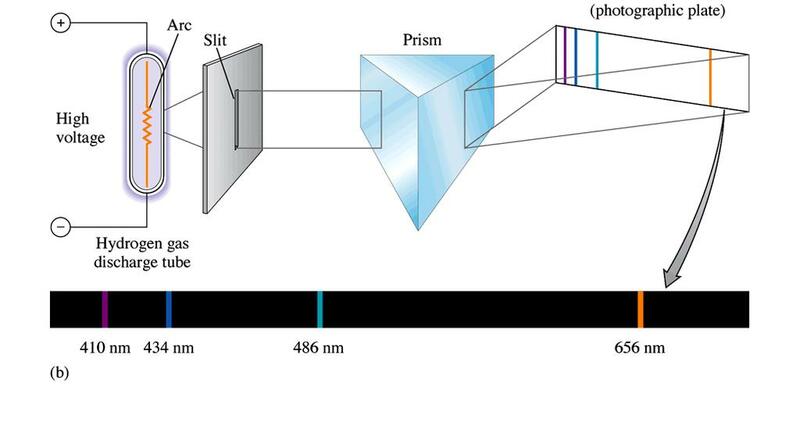 Note that the radiation with the shortest wavelength has the highest frequency. 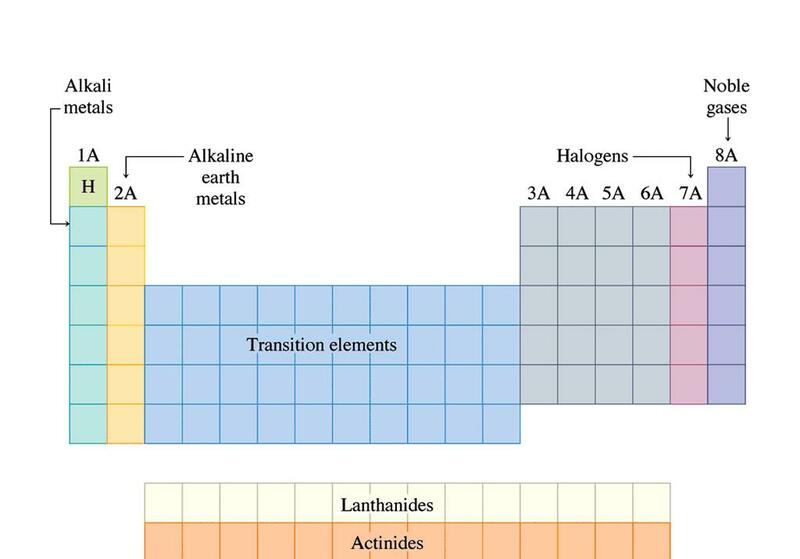 21 氫原子的電子, 在不同 能階間躍遷 (transition), 所以產生線光譜 Figure 7.8: Electronic transitions ( 電子躍遷 ) in the Bohr model for the hydrogen atom. 39 n = 5 Sample Exercise 7.6 Subshells ( 次殼層, l) =? Answer l = s 5p 5d 5f 5g 上台演練 : 3d, 4f orbitals, n, l, m l =? 40 7.7 Orbital shapes and energies ( 軌域的形狀和能量 ) 節面 6s 軌域有幾個節面? 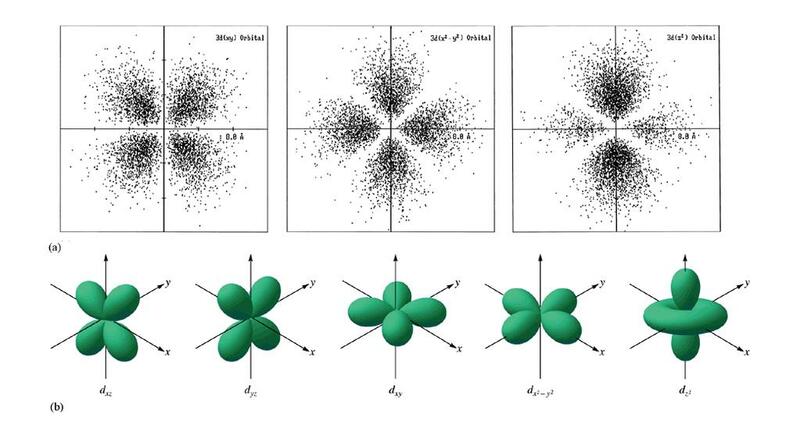 Answer: 5 個 Figure 7.13: Two representations of the hydrogen 1s, 2s, and 3s orbitals. 41 2p 軌域 Figure 7.14: Representation of the 2p orbitals. 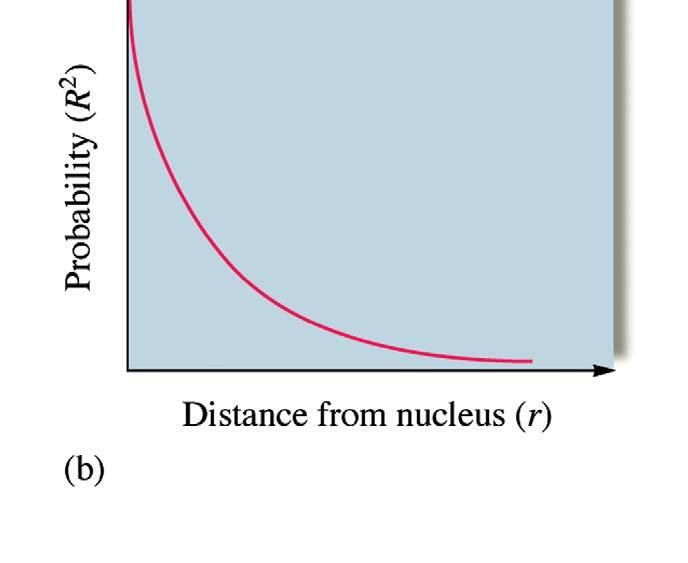 (a) The electron probability distributed for a 2p orbital. 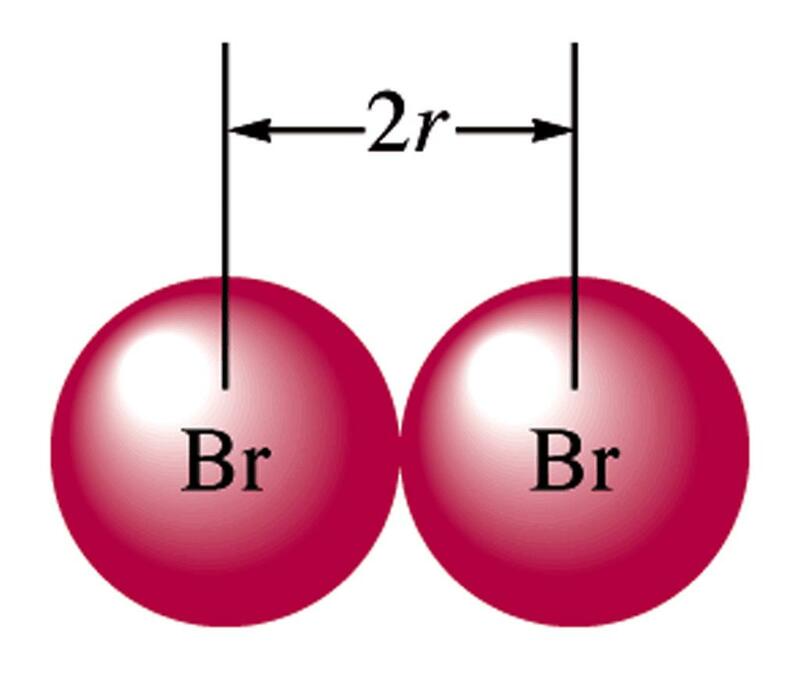 (b) The boundary surface representations of all three 2p orbitals. 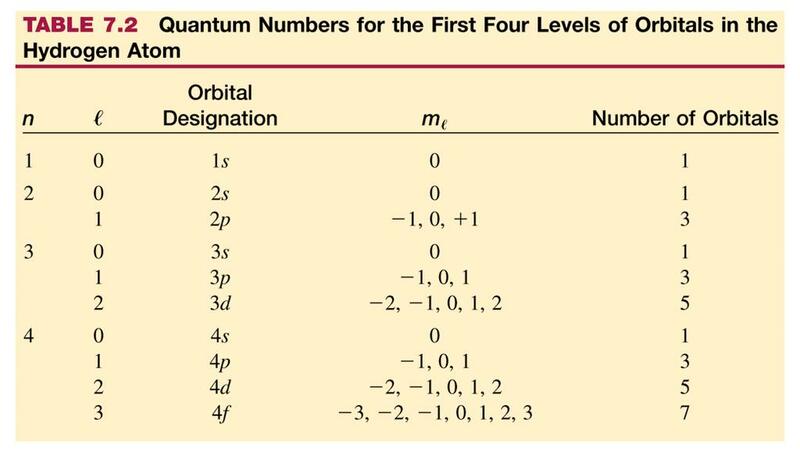 42 3p 軌域, 有一個球節面 Figure 7.15: A cross section of the electron probability distribution for a 3p orbital. 43 3d 軌域 : d xy, d yz, d xz, d x 2 -y 2, d z Figure 7.16: Representation of the 3d orbitals. 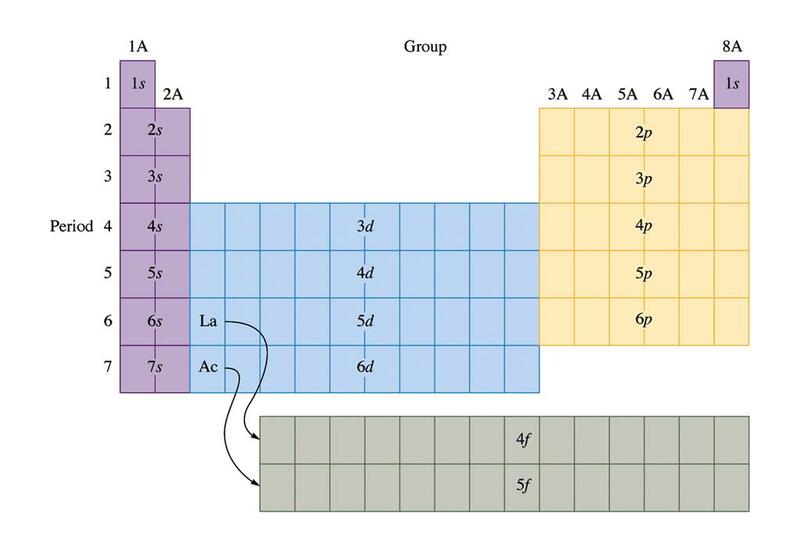 44 Figure 7.17: Representation of the 4f orbitals in terms of their boundary surface ( 界面 ). 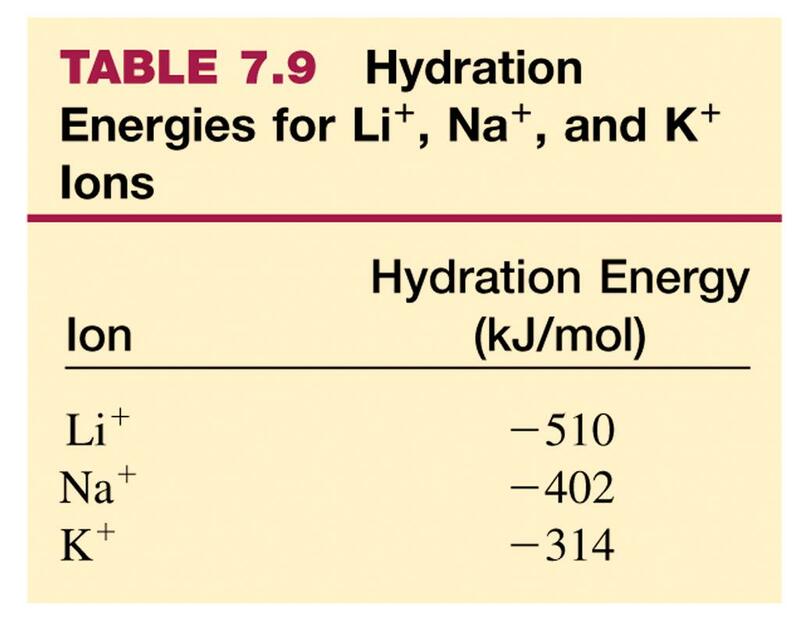 45 氫原子能階圖, 相同殼層的軌域是 簡併的 (degenerate, 能量一樣 ) Figure 7.18: Orbital energy levels for the hydrogen atom. 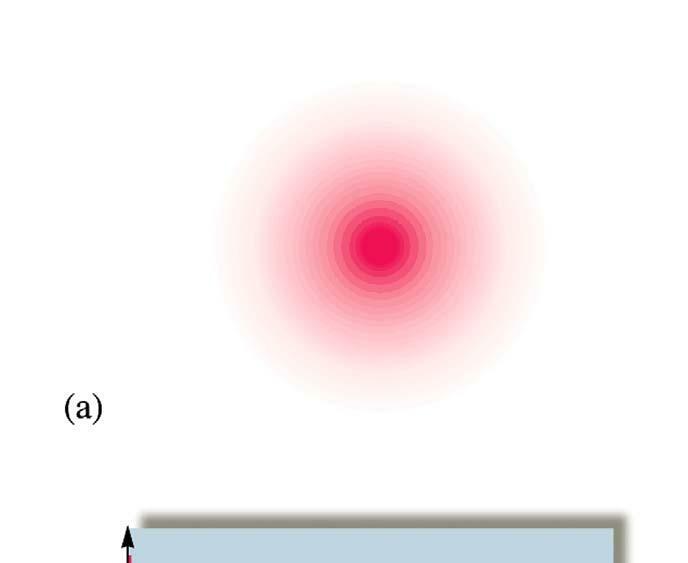 46 7.8 Electron spin and the Pauli principle Electron spin: 電子自旋有兩種狀態, 會產生方向相反的磁矩 (magnetic moment) Figure 7.19: A picture of the spinning electron. 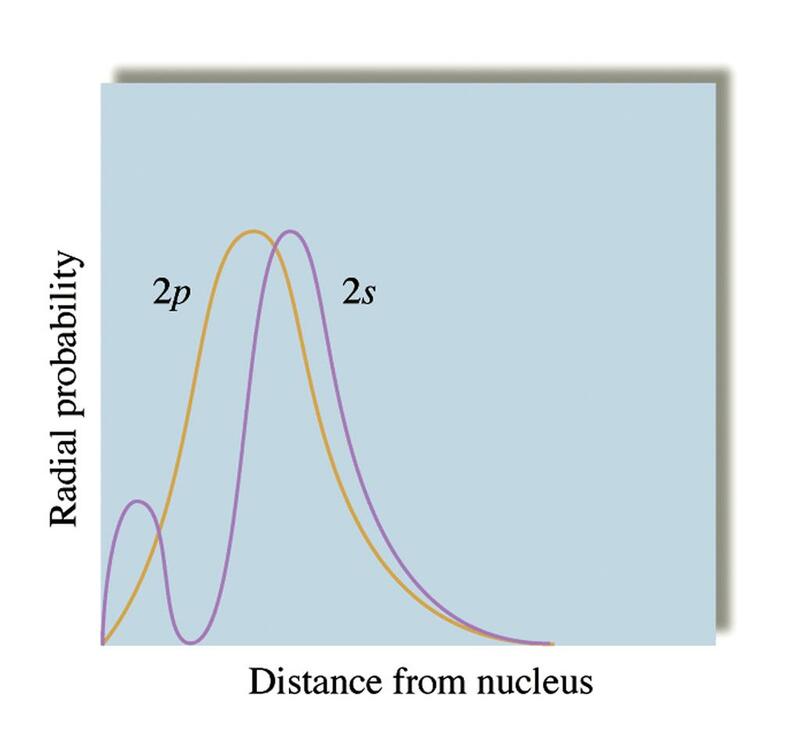 50 比較 2s 與 2p 軌域的徑向機率分布 Figure 7.20: A comparison of the radial probability distributions of the 2s and 2p orbitals. 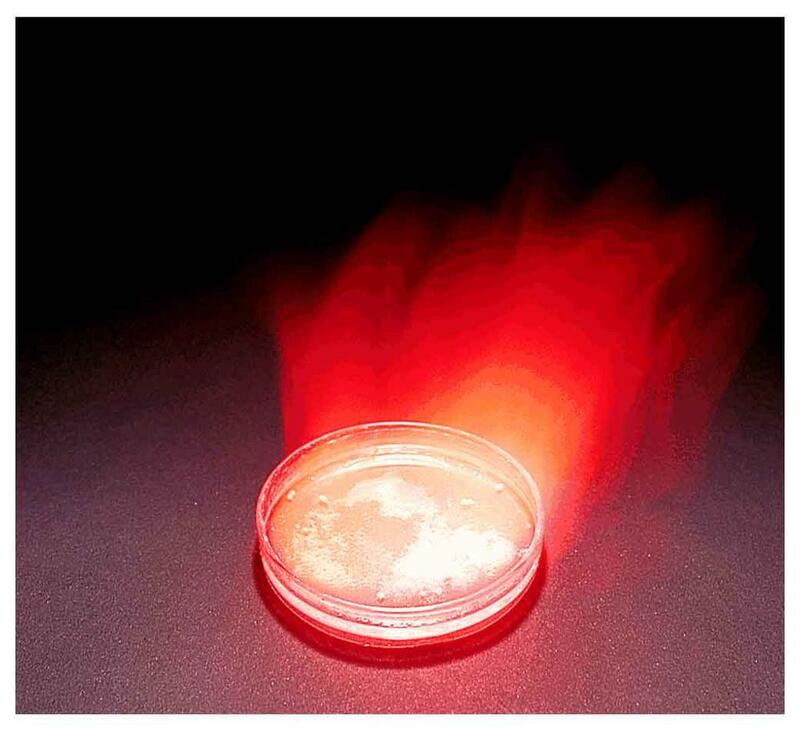 52 由於遮敝和穿透效應, 在多電子原子中, 同殼層的軌域能量不同, 但次殼層仍簡併 E ns < E np < E nd < E nf Figure 7.22: The orders of the energies of the orbitals in the first three levels of polyelectronic atoms. 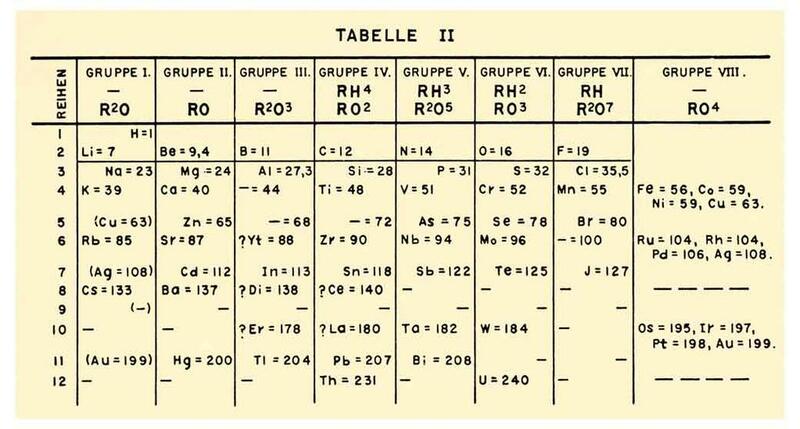 53 7.10 The history of the periodic table ( 週期表 ) Figure 7.24: Mendeleev's early periodic table, published in Note the spaces left for missing elements with atomic masses 44, 68, 72, 100. 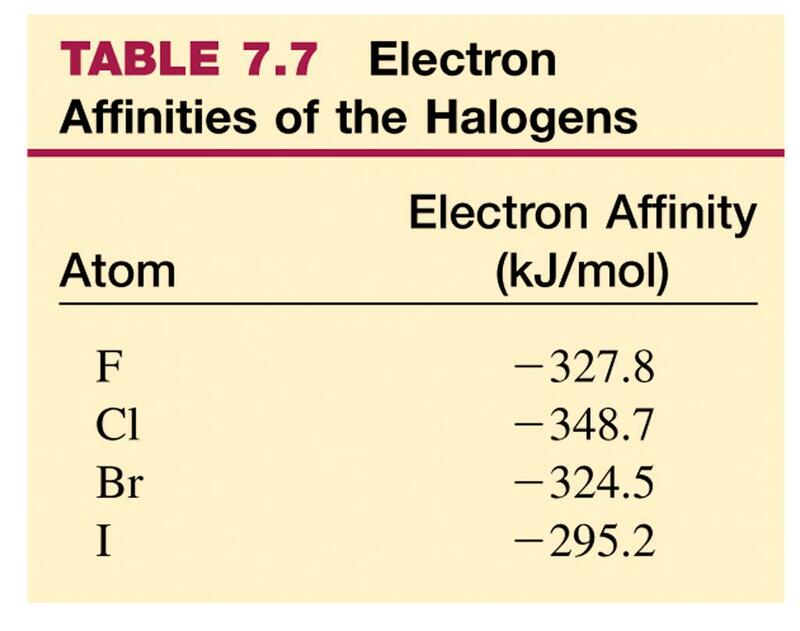 60 Figure 7.25: The electron configurations in the type of orbital occupied last for the first 18 elements. 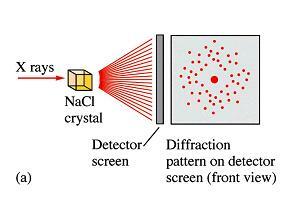 61 Valence Electrons 價電子 The electrons in the outermost principle quantum level of an atom. 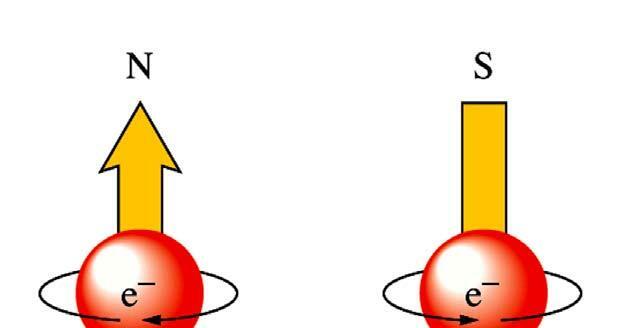 (n 最大的殼層 ) Atom Valence Electrons Ca 2 N 5 Br 7 Inner electrons are called core electrons ( 內層電子 ). 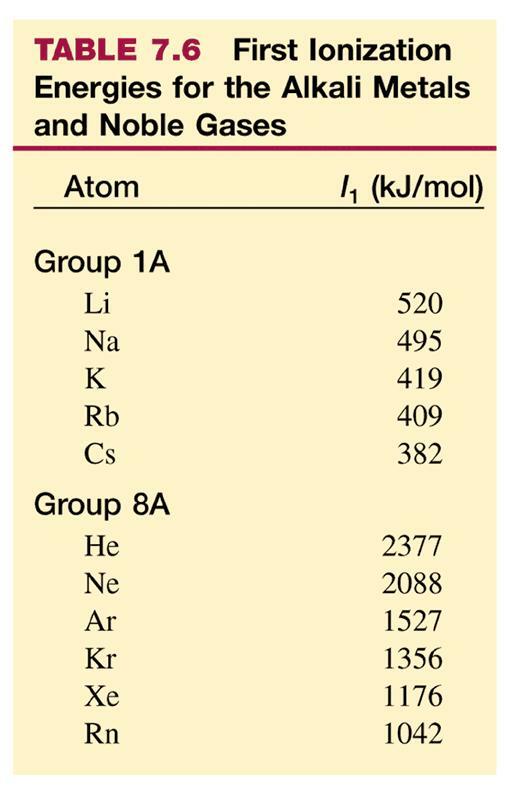 63 不規則 : Cr: [Ar]3d 5 4s 1 ; Cu: [Ar]3d 10 4s 1 Figure 7.26: Electron configurations for potassium through krypton. 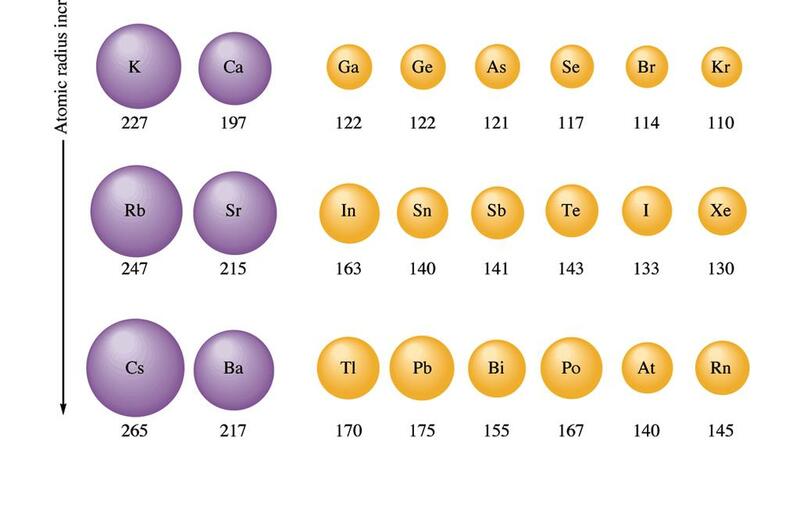 66 Figure 7.27: The orbitals being filled for elements in various parts of the periodic table. 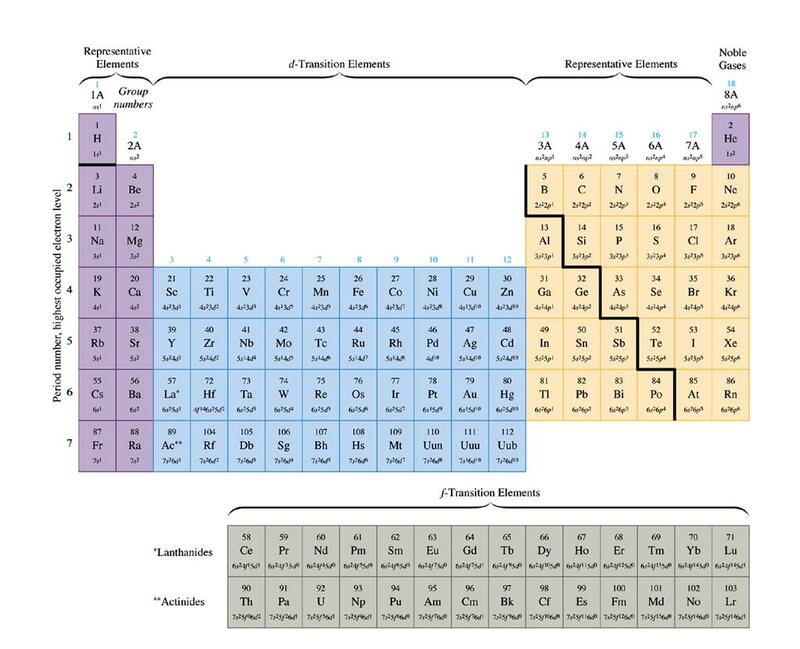 67 Figure 7.28: The periodic table with atomic symbols, atomic numbers, and partial electron configurations. 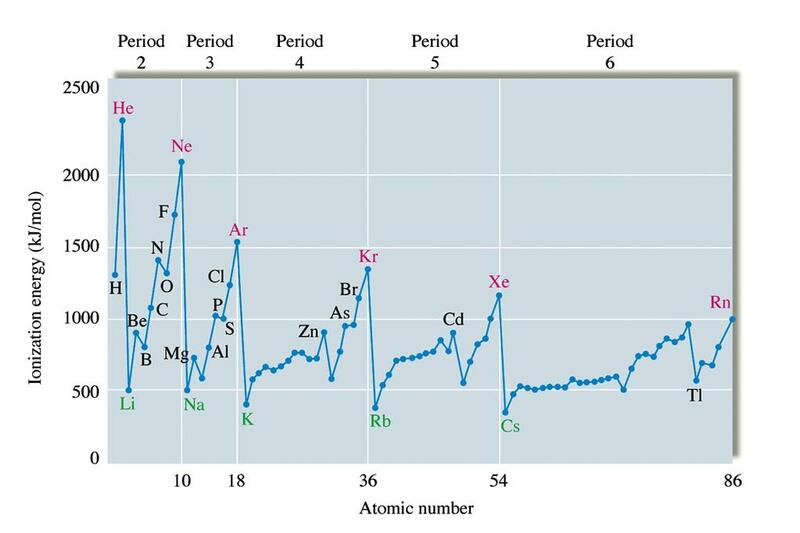 72 Periodic Trends First ionization energy: increases from left to right across a period ( 同週期的原子, 游離能從左至右遞升, 因質子數增多, 原子核對電子的吸引力增強 ); decreases going down a group ( 由上至下遞減, 因電子與原子核的距離增大, 吸引力減弱 ). 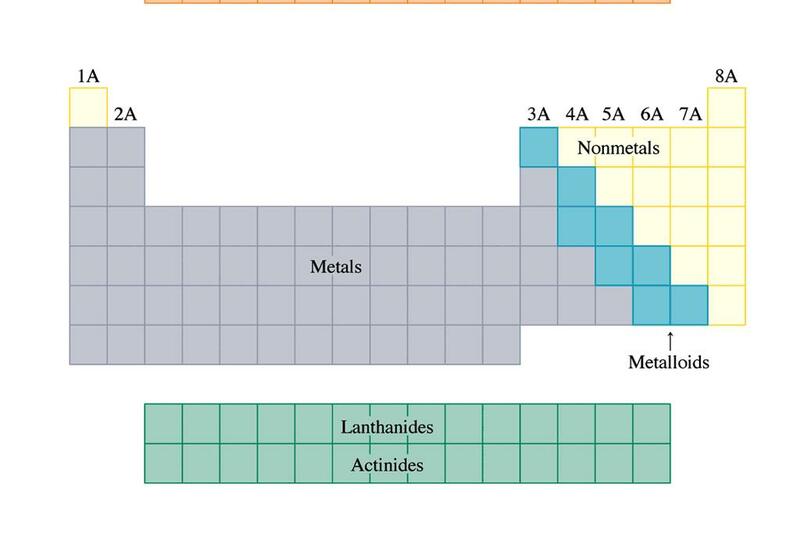 73 Figure 7.30: The values of first ionization energy for the elements in the first six periods. 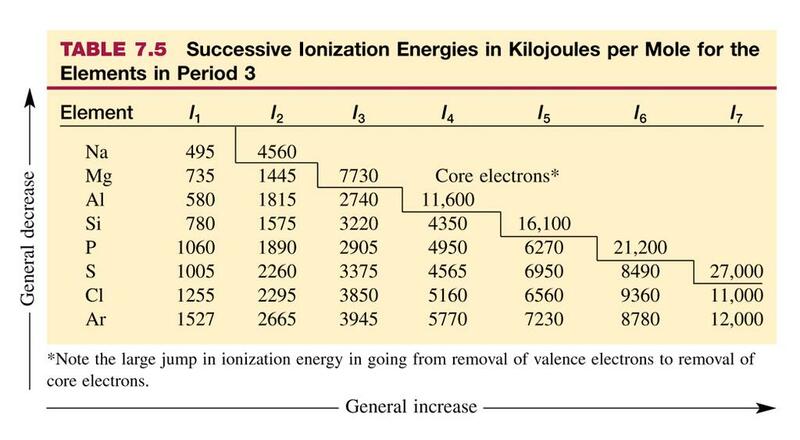 75 Figure 7.31: Trends in ionization energies (kj/mol) for the representative elements. 78 C - (1s 2 2s 2 2p 3 ) 穩定 ; N - (1s 2 2s 2 2p 4 ) 不穩定, 因為外加電子使 p 軌域電子的斥力增加 週期表向 右, 放熱多 ( 核電荷 增加 ) Figure 7.32: The electron affinity values for atoms among the first 20 elements that form stable, isolated X - ions. 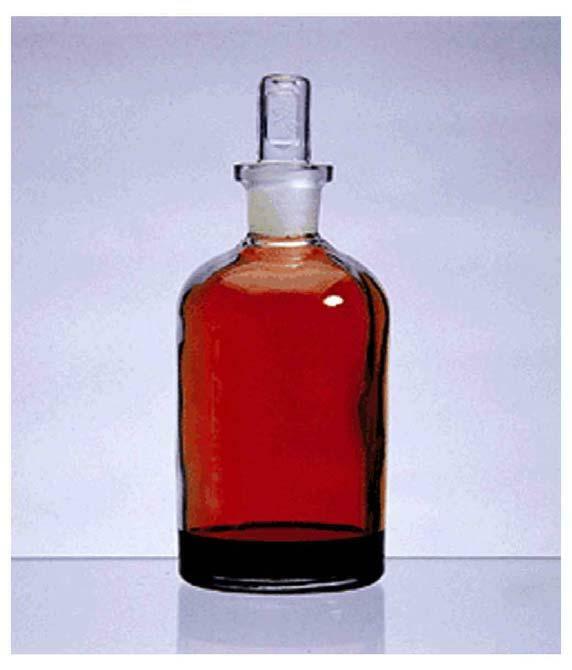 81 Liquid bromine ( 溴, Br 2 ) in equilibrium with its vapor. 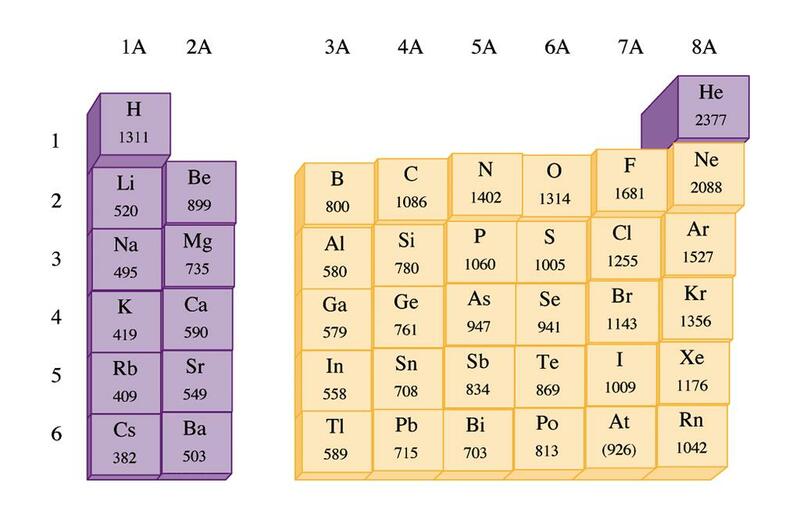 82 同核雙原子分子鍵長的一半, 定義為 共價原子半徑 (covalent atomic radius) Figure 7.33: The radius of an atom (r) is defined as half the distance between the nuclei in a molecule consisting of identical atoms. 84 Figure 7.34: Atomic radii (in picometers, m) for selected atoms.